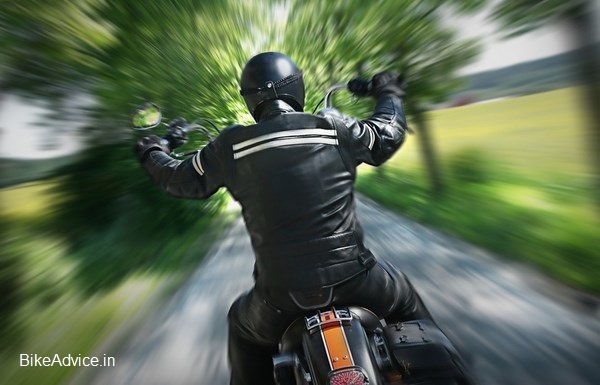 Let’s face it; when it comes to safety on road, motorcyclists are arguably the most vulnerable people on the road who encounter and eventually find themselves into a lot of accidents. Studies show that because motorcycles are much smaller in size they may not be seen virtually in the state highways mostly by other motorists. In worst cases even when highway motorists do see riders, many don’t demonstrate sufficient respect for them keeping a reason or another in their mind. 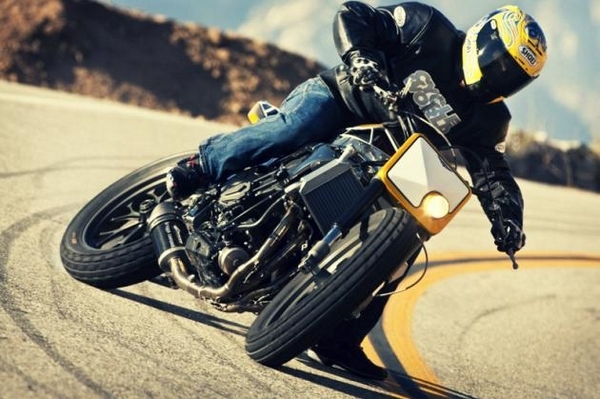 It all boils down to either conscious or unconscious act, but in either way Motorcyclists life hangs around on that. Keeping in mind about these realities, the MSF (Motorcycle Safety Foundation) of Americas has evolved a system for managing these risks on the roads. The system is basically comprised on the premise that the Motorcyclist is the one who is mostly responsible for his own safety. The System developed by MSF says that as a Rider, it is his/ her job to look out for their safety and not to fully trust others. Doesn’t matter where one rides, be it State Highways, Suburban streets or a busy city roads, the riders goal is to visually recognize anything that could affect his control and safety. The basic idea is to keep on the look out not only what’s in front of the rider, but also to look 12 seconds ahead and be aware of what’s happening all around 360 degrees where there could be any potential threats. The same is carried out by scanning what’s on the rider’s rear view mirrors, looking out side to side and a frequent head check now and then to monitor the blind spots or when changing lanes during which the rear view mirrors proves to be useless. Once a rider displays good confidence with the first mechanism in “SEE” it is time for them to process the visual information that that they are registering continually. The MSF recommends, “To get the best results, predict the worst possible outcome”. This doesn’t necessarily require the rider to get paranoid about the situation, but it does mean to anticipate and be prepared for the worst. Having seen cars zip past the traffic signals in spite of Red lights lit up, it is not necessarily that if a Motorcyclist stops others also would oblige. 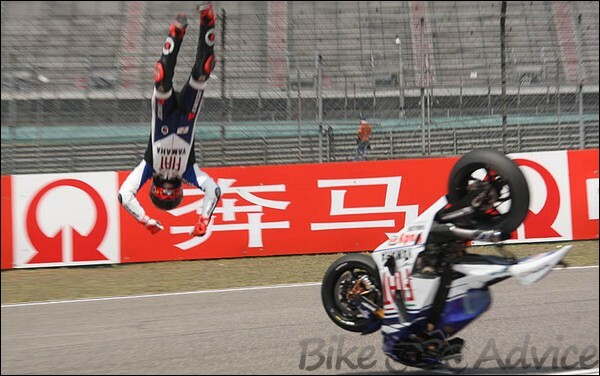 There are a million cases of rear ending in these situations putting the rider’s life in jeopardy. So it is time to evaluate the potential hazards that one might encounter that needs to be dealt with in a moments notice. The Most important factor that needs constant look out here in India is “Road Characteristics”. The Road characteristics just change at the wink of an eye from a freshly laid out sticky tarmac to the most life threatening gravel just thrown about on the roads. Evaluation has to be done by looking out for the road if it is Hilly, curvy, two-lane, multi-lane with lay-bye roads or a road with full dirt and grime? Consider yourself in getting hold of good Tarmac reading skills which would prove out to be very useful in most cases as the Tarmac roads here also have its own issues from turning smooth to bone jerking and from asphalt to slippery concrete roads in wet conditions. Becoming smart and professional in riding motorcycles also likely known as “Street Smart” means learning to anticipate and be ready to compensate for other drivers potential errors in their judgement which could save lives. The word Evaluating when given a proper definition can be developing or development of excellent on the fly judgement considering your very own bike riding, handling skills, bike’s limitations with a big picture of the on-going traffic conditions in mind. The Last mechanism of the “SEE” system where being “assertive and proactive” comes into play. As you begin your “Search” you can definitely “Evaluate” a risk in most of the cases. For example; it can be a person in front of you on a Mobile phone not looking onto what’s coming behind and all of a sudden takes a left turn. What can someone do in this situation? There are three things that can be done in that moment, but being decisive is the key to get out of that troubled situation without any harm to anyone. You can Honk your horn; make a sound or at least wave out your hand to gather some attention. This would be the most passive of the ideas as by doing this you are hoping that someone would respond to you and alert the guy in front. There can be two ways about it; either you can slow down, allowing the rider ahead to take the turn and then leave by carefully evaluating who’s behind you and not to allow someone to rear end you or beat the rider ahead with speed if possible. Can you steer away from the rider in front taking a linear right turn? As this requires accelerating this would be something like on-the-spot judgement call. Most of the road accident studies show that intersections are consistently the most likely places to encounter an accident, most likely with a vehicle turning left in front of the rider without prior notice by any signaling or whatsoever. The potential consequences of a motorcyclist are greater than anyone else is so it is time for them to decide whether to be in greater control, safer and ultimately enjoy every minute they ride or be negligent and face the consequences later on. While the much Evolved “SEE” system is broken into simple steps for basic understanding and incorporating, it is important for one to understand that never out ride your skill set or push the capabilities of your machine much it can actually perform. There are also training courses that teaches these techniques and much more, if already known start implementing them. We, at BikeAdvice, frequently come up with such kind of informative and helpful articles with only one aim in mind; ‘Let us all become good, efficient riders‘ and we hope this helps. Do share if you have any specific questions in the comments section below.